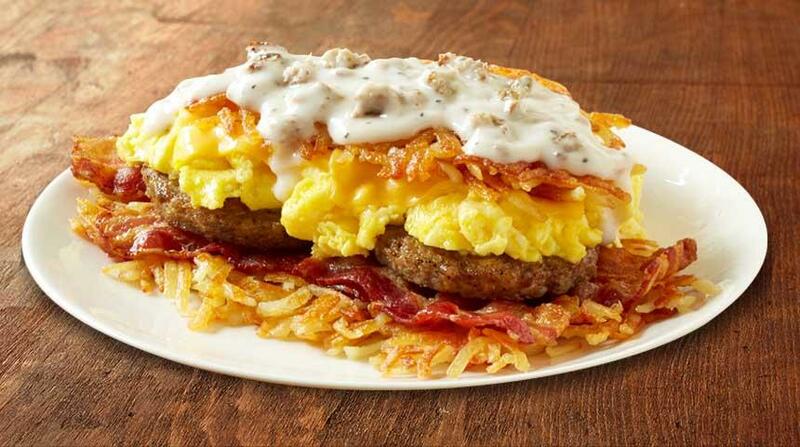 Huddle House in 11807 South Crater Road Petersburg, VA | Any Meal. Any Time. Breakfast, Lunch, Dinner. 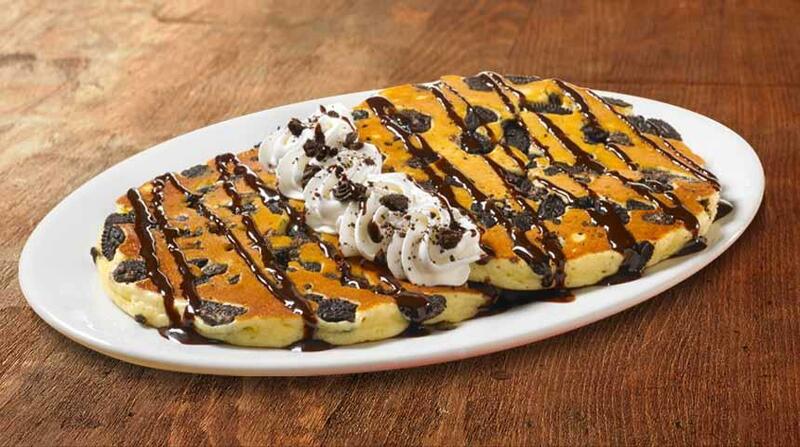 Two thick buttermilk pancakes, stuffed with crushed Oreos®. Served topped with cookie crumbles, rich chocolate syrup and extra whipped topping. 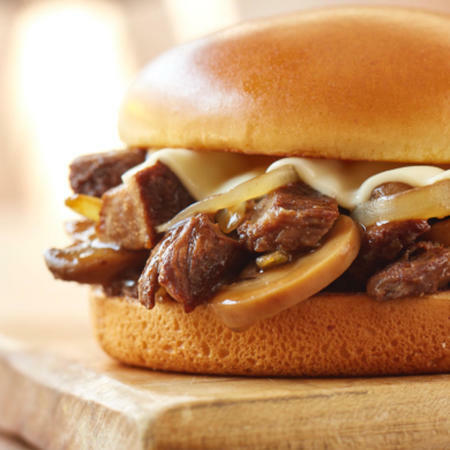 Prime rib tips, roasted to perfection and piled high on a toasted brioche bun, with Swiss cheese, sautéed mushrooms and caramelized onions. 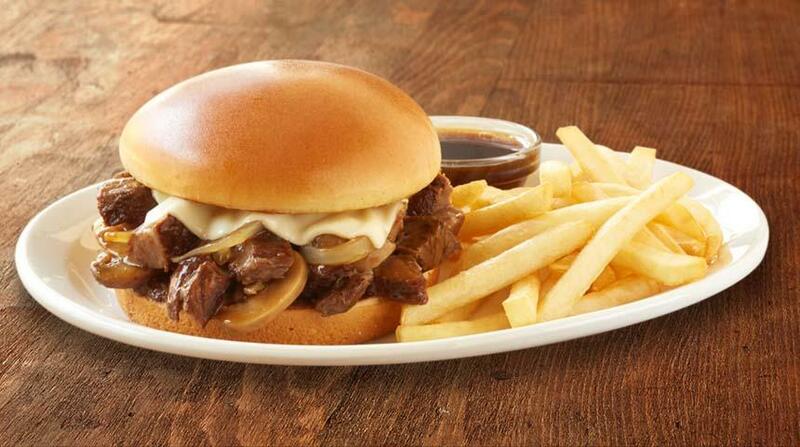 Served with savory au jus and your choice of French fries, sweet potato fries or tater tots.